Security where you need it! 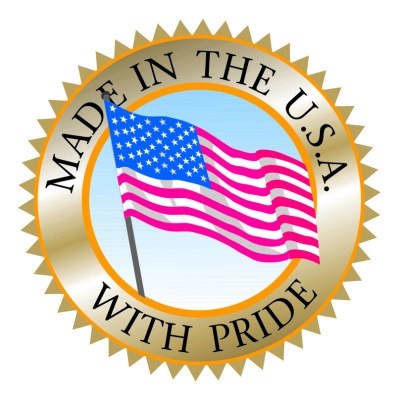 Our products are custom made to meet our client's needs and expectations. Our services include onsite measuring of proposed plans, a detailed breakdown of proposed solution (including cost of Material and Labor), fabrication and material installation, if needed. The products listed can be modified to meet our clients needs. 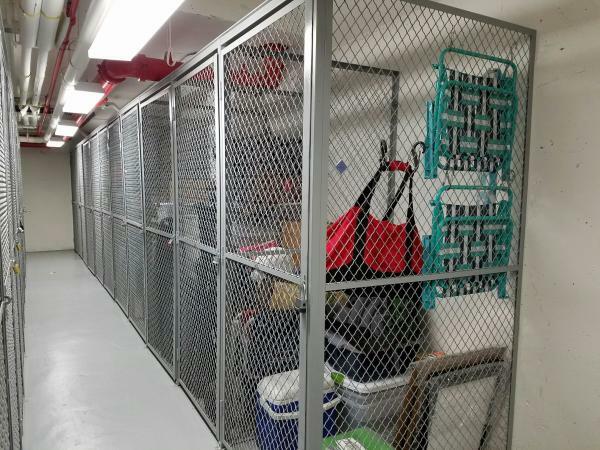 Wire Mesh Partition Cage used to secure computer equipment while preserving ventilation, lighting and sight access. Partition walls are manufactured using perforated metal. Openings are as requested. Infill Panels are a heavy duty, secure option for handrails. Partition shown with a sliding gate and mortise type cylinder lock. Other options are available; see specification sheet. Custom made for the clients specific needs. This specific application required a curved rail which was seamless once installed. Custom made to our clients needs. We fabricate guards for condensers, transformers, etc. 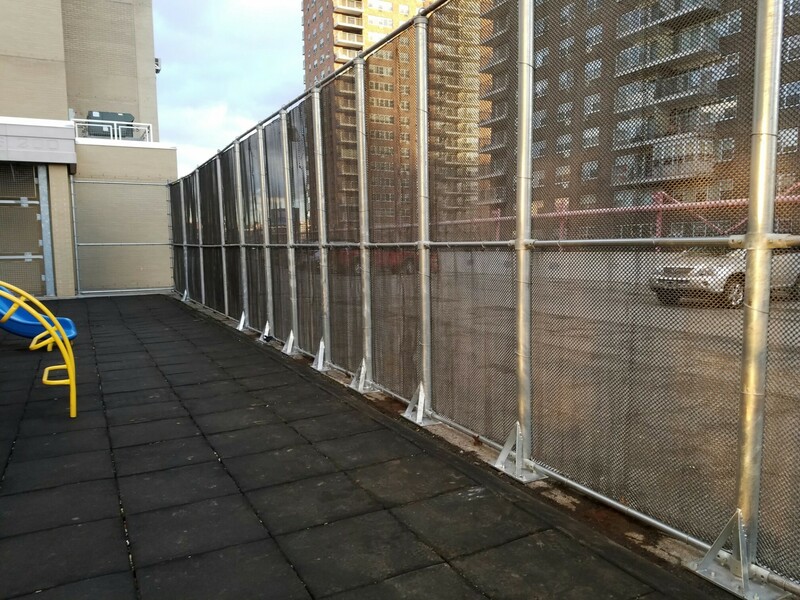 Guards are custom made of wire mesh, expanded metal or perforated metal, with operable front facilitate servicing the condenser. Units can be fabricated to customized sizes and include a roof if required. Available in single and double tier. Expanded Metal Guards allow casement window to open while maintaining security. Exterior window guards fabricated out of expanded metal or wire mesh. Tailgate/overhead door opening, expanded metal enclosure. Folds away when not in use, maintains security when occupants desire opened door ventilation.